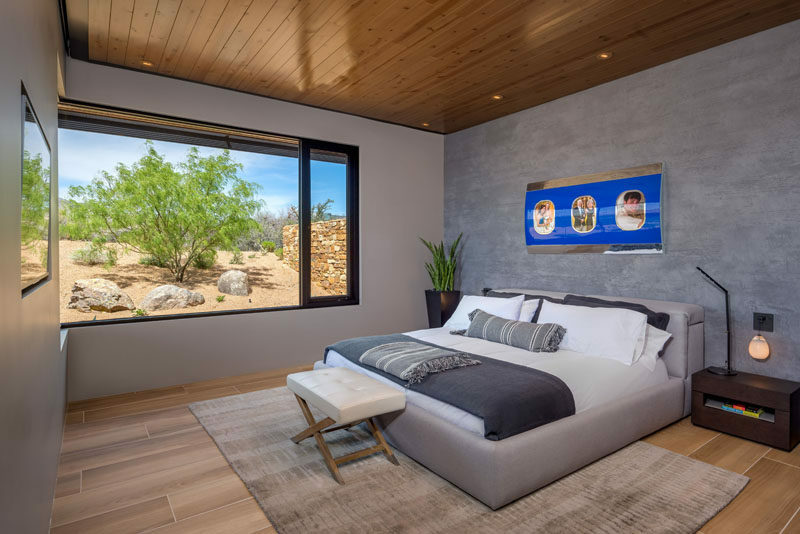 Kendle Design Collaborative have completed the Painted Sky Residence, a new house that’s located in Scottsdale, Arizona. 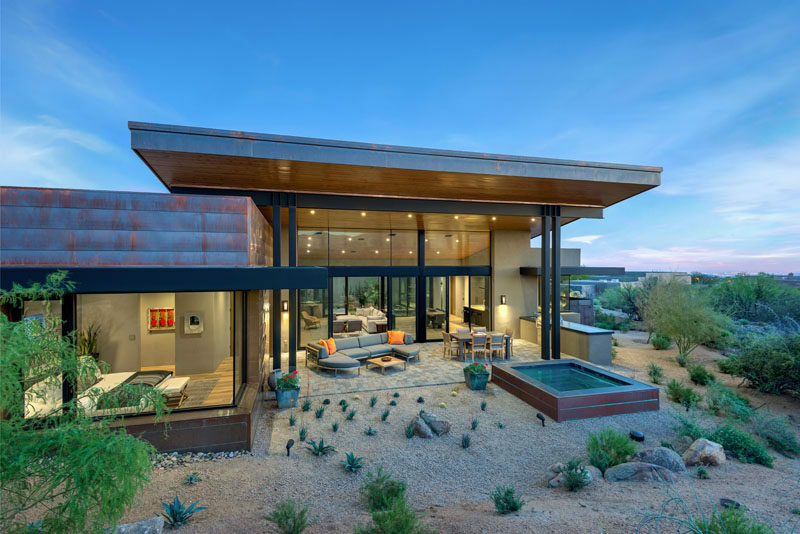 Surrounded by desert, the house has a simple driveway, flanked by minimal landscaping on either side, leading from the road up to the garage and entrance. 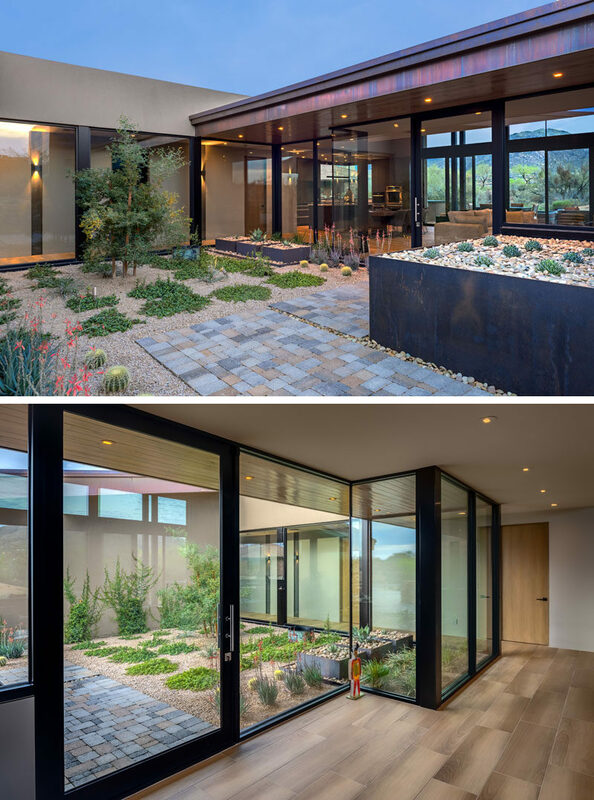 A small courtyard with a simple garden, steel planter boxes, and a stone path, leads to the glass front door. 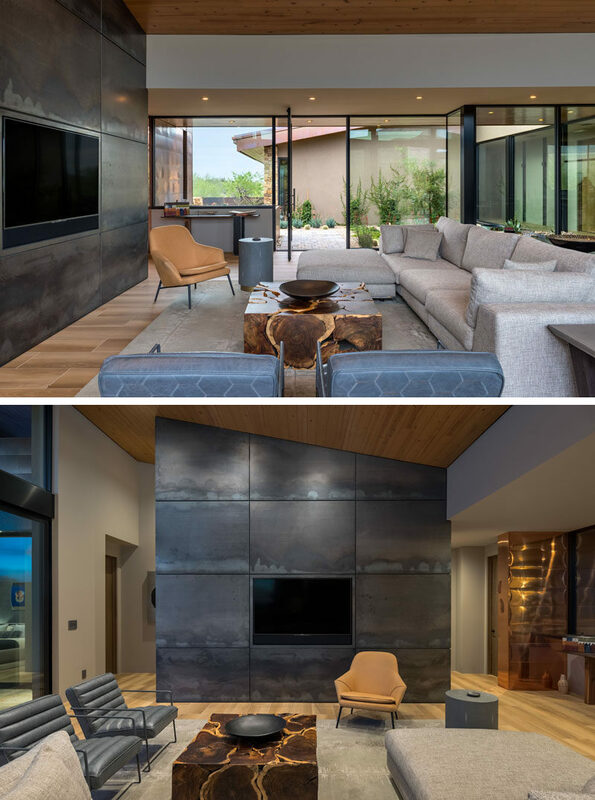 The front door opens to the living room, that features a large steel accent wall. 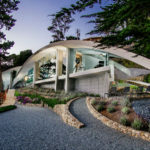 Walls of glass provide daylight to the interior and frame the garden and views outside. Separating the living room from the kitchen is the dining area. 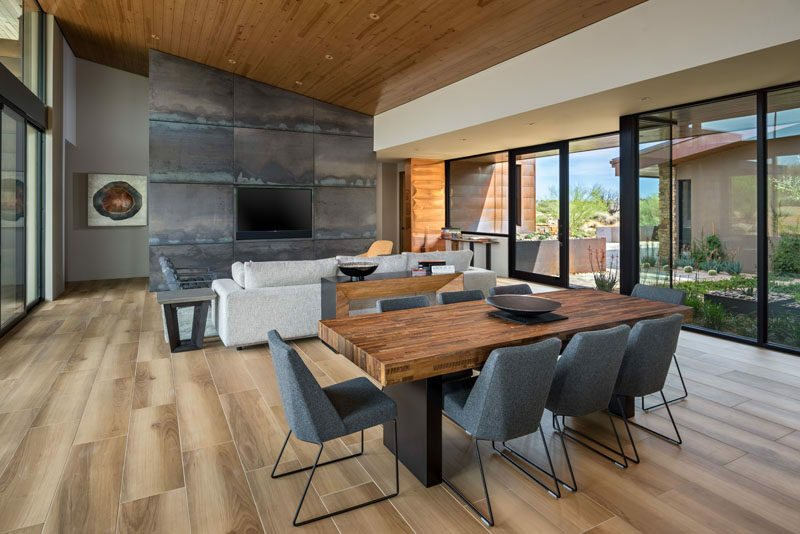 A sloped wood ceiling helps to keep the interior feeling open and bright. 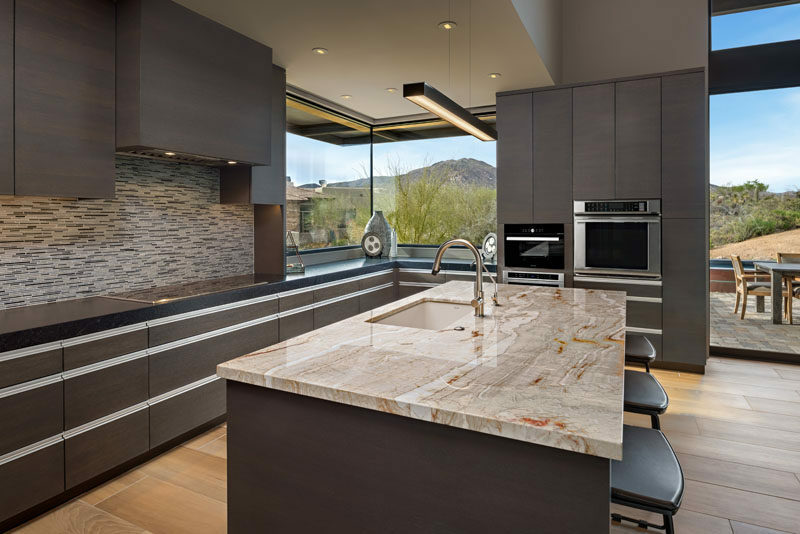 In the kitchen, dark cabinetry is combined with earth-tone tiles and stone countertops to create a contemporary appearance. The social areas of the house open to a covered outdoor area with a lounge, alfresco dining area,and an outdoor kitchen. 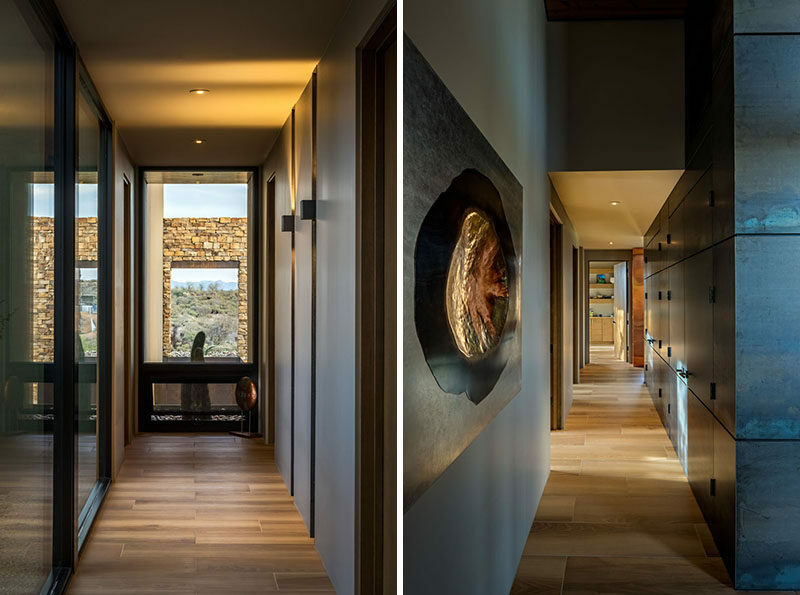 Connecting the various areas throughout the house are hallways that use lighting and shadows to create interest. In one of the bedrooms, a grey accent wall creates a calming atmosphere, while the windows perfectly frame the trees outside. 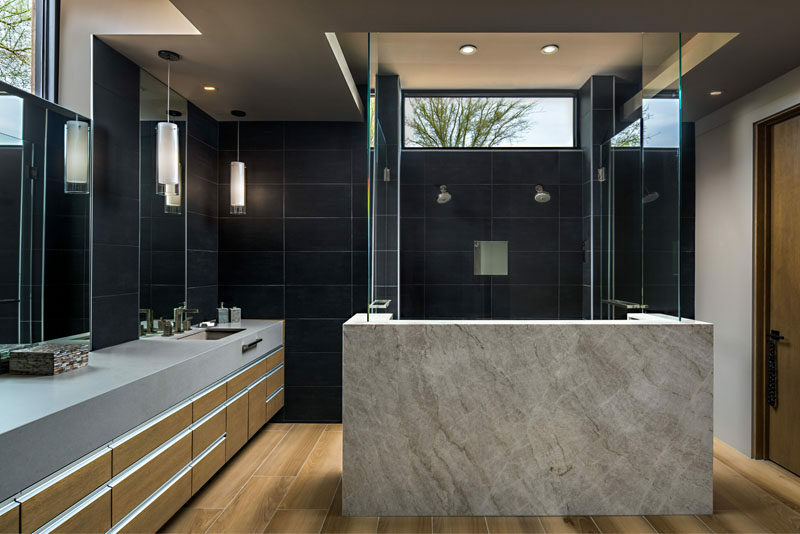 In the master bathroom, dark tiles cover the walls, while a walk-in two-person shower draws attention from anyone walking into the bathroom. 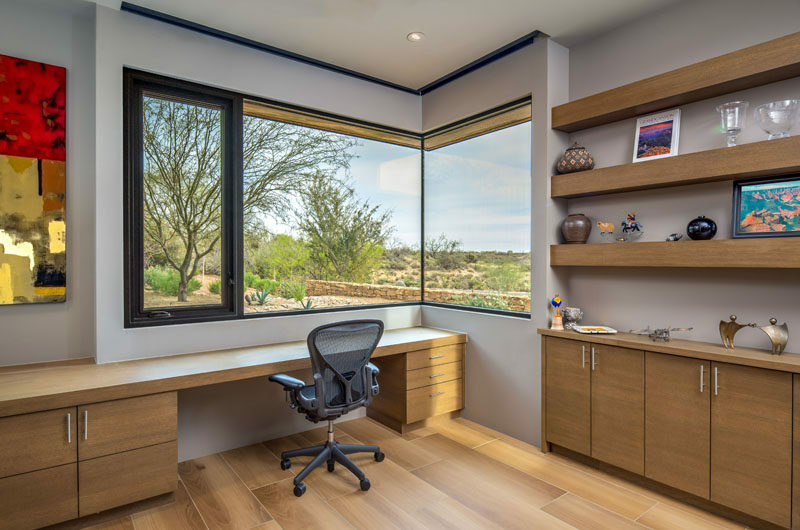 The home also has an office with open shelving, wood cabinetry, and a window that wraps around the corner of the room.